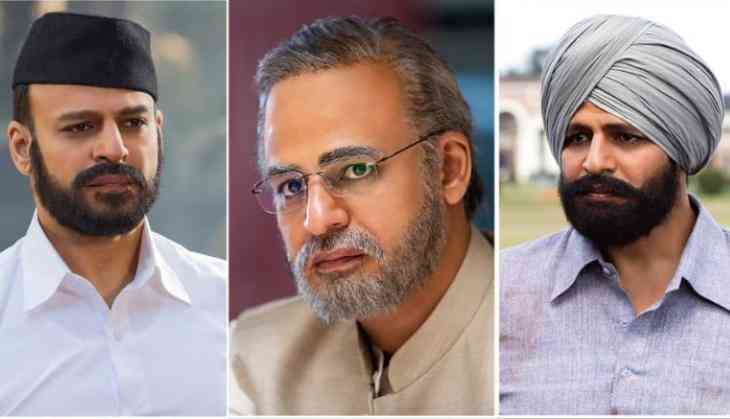 The biopic on India's current PM Narendra Modi is in the discussions since a long time and the Bollywood actor Vivek Oberoi will be seen playing the leading role. The makers have recently revealed the full cast of the film one by one on social media. The biopic will fold the story of Narendra Modi from his beginning to being a PM of India. The trade analyst Taran Adarsh shared a picture on social media where Vivek Oberoi can be seen in 9 different looks as Modi. Taran Adarsh while sharing the post wrote, "Vivek Anand Oberoi's different looks in the biopic #PMNarendraModi... Directed by Omung Kumar... Produced by Sandip Ssingh, Suresh Oberoi and Anand Pandit... 12 April 2019 release." Earlier it was also told that the actors like Boman Irani, Yatin Karyekar, Rajendra Gupta and others will be seen playing the leading roles. Rajendra Gupta will be seen playing Narendra Modi's father while Yatin Karyekar to play the role of Lakshman Rao Inamdar. Reports are also that actor Boman Irani will be essaying the role inspired by industrialist Ratan Tata. Talking about the film, PM Narendra Modi the film is directed by Umang Kumar who earlier had made films like Sarbjit, Bhoomi and Mary Kom. It is his third biopic directorial and first for Vivek Oberoi. The film will be releasing on 12th April 2019.